Yesterday was the the first round of the United Stated Classic Racing Association (USCRA) roadracing season. 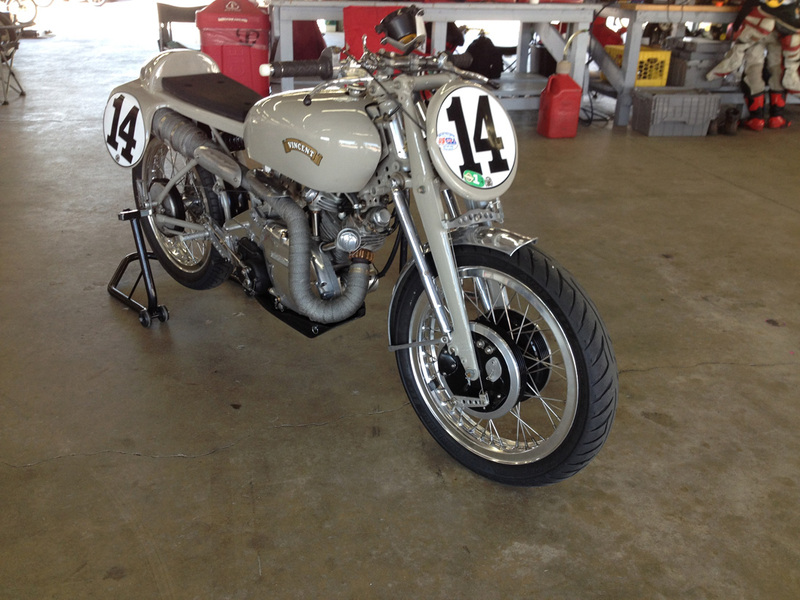 I got a firsthand look at vintage roadracing in the U.S. by participating in the 2014 United States Vintage Grand Prix at New Hampshire Motor Speedway (aka, “Loudon”). Vintage racing is fairly self-explanatory. “Vintage” is defined as “of old, recognized, and enduring interest, importance, or quality.” This means that the machinery at vintage road races will be of another era that feature now-obsolete glimpses into how motorcycles used to be. When it comes to vintage motorcycle road racing, “old” not only applies to the machines, but also to many (but not all) of the riders. As you might expect, yesterday’s event had more bald and gray heads than full, dark haired-types. Many participants are ex-racers from an earlier era who are keeping their love of racing alive. One such person is famed author and chassis engineer, Tony Foale who wrote a landmark book called Motorcycle Handling and Chassis Design. There are also many young men and women who have embraced vintage racing. Kerry Smith is a young 30-something who has devoted her career to racing a Giannini Racing Honda 350, not only all over the United States, but also in Australia as a recent AMA National and USCRA champion. People who choose vintage motorcycle racing have a different set of goals and a more relaxed attitude toward competition than the typical modern-bike “club” racer. The vintage racing atmosphere is light, airy and friendly with clusters of young and old racers comparing notes about such obsolete mechanisms as Zenor Diodes, points and condensers, and drum brake adjusters well into the night before the event. It’s not only old folks who embrace vintage racing. 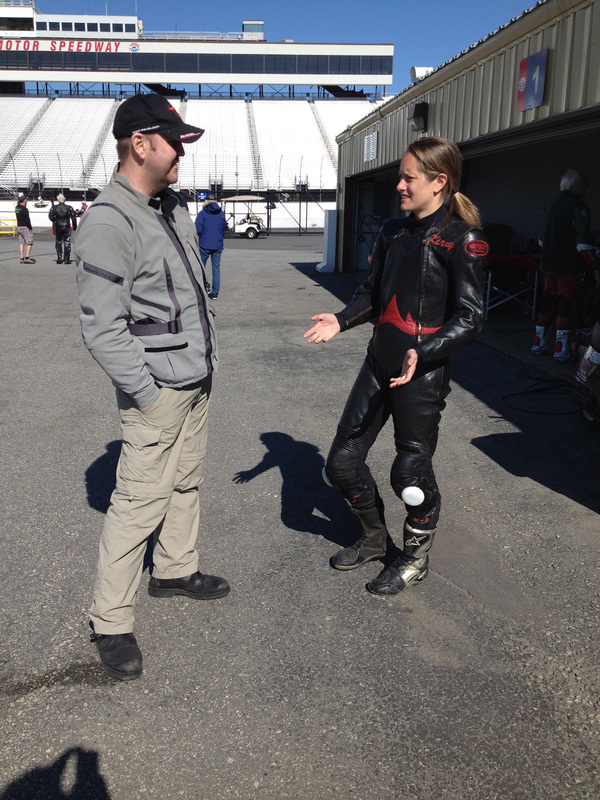 Here, Kerry Smith talks with Kevin Nixon about his CB160 racer project. Much of what you’ll see in the paddock of a vintage motorcycle race involves master mechanics performing rituals of tuning that are in threat of being forgotten like a long-lost native language used by an ancient culture that has been diluted by modern life and technology. Vintage racing is about riding and racing motorcycles, but it is equally about keeping the history of racing motorcycles alive. While many rare bikes spend their retirement sitting in museums, the bikes you see at vintage race events are kept alive and continue to live on, ridden hard…the way they were designed to be ridden. I’ve been road racing on and off since 1986. 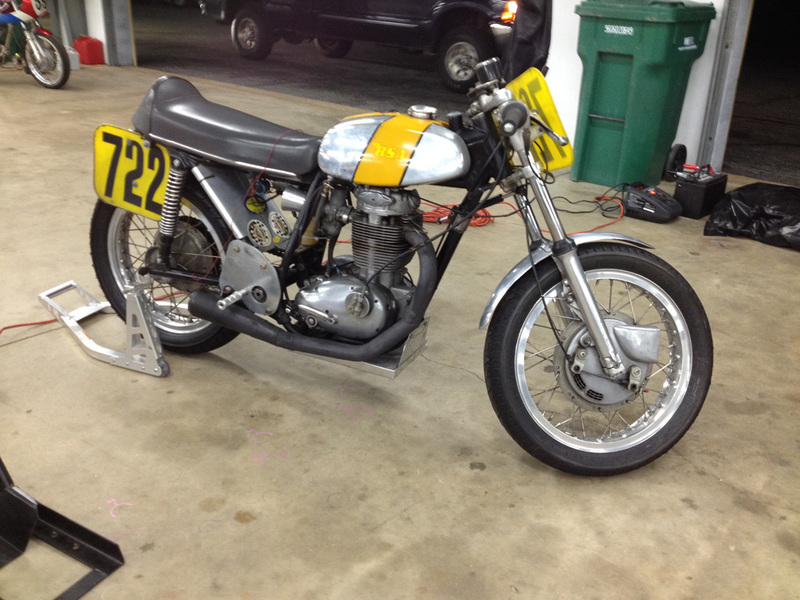 My racer at the time was a 1976 Yamaha RD400. Even though it was already 10 years old, the venerable RD was still a competitive machine in the lightweight classes. Today, the RD is a popular choice among the vintage racing crowd. You’ll see, hear and smell a dozen or more of these two-stroke beauties as they fire up in preparation for their time on the track. Other machines you’ll see are Vincents, Montesas, Guzzis, BSAs and Indians, as well as notable BMWs, Ducatis and Japanese classics. A rolling museum. 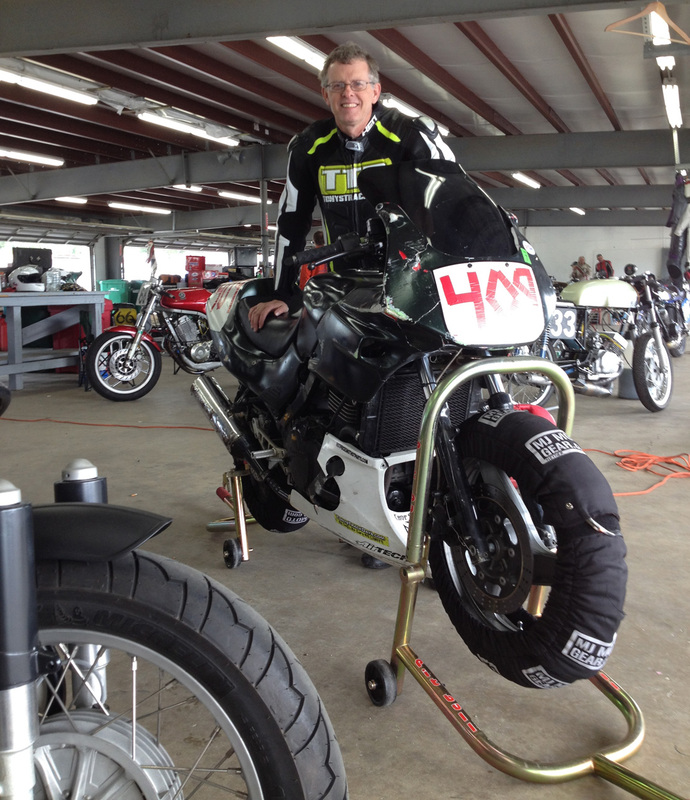 Famed author and chassis engineer, Tony Foale with his borrowed SRX600. As with the participants, not all bikes are necessarily vintage. While the most interesting bikes are from a distant era in motorcycle racing history, USCRA also allows the opportunity for certain modern machines to compete in limited classes. There is a 125 GP class and a couple of classes that allow bikes that I don’t consider vintage, but are well on their way to becoming so in their design and performance. My 1976 RD400 would certainly qualify as vintage today, but it was sold long ago, so I needed to borrow a bike that would qualify to compete. I was originally going to borrow my former MZ Scorpion racer from its current owner, but it would have to be converted from its current state as a street bike back to a racer…something I didn’t have time for. So, instead I borrowed a Kawasaki EX500 Ninja racer from a track day colleague and set off to join in the fun. The Ninja is not really a vintage bike in any meaningful way, but its obsolescence in the club racing scene is now complete with the deletion of the Production Twins class from club racing and its performance is on par with a wide variety of semi-modern machines, including Honda Hawk 650s. Having a race class for small, inexpensive bikes helps bring newer racers into the sport and helps fill the grids. The EX500 Ninja I borrowed was not the prettiest machine in the garage. Far from it. Steve, its owner describes it as a “rolling dumpster fire”. The photo of the bike doesn’t show the depth of its “patina”. Although my patina shows nicely. The EX has led a long and hard life in the hands of several rookie and expert-level racers over the years, and now it was my turn. Life had gotten even harder for the Dumpster Fire, as it had been crashed the day before during a club race. It’s deeply scared bodywork wasn’t any worse for wear, but the exhaust had detached itself and the handlebars needed replacing…all in a day’s work for a race bike. A quick pre-tech inspection revealed slightly misaligned bars and a chain that was so loose it skipped across the sprocket teeth at hard throttle. Thankfully, I discovered this before race day began. I put a wrench on all the critical bolts and screws to confirm that everything else was in order. In the end, the Dumpster Fire performed like a champ. It took both practice sessions for me to figure out shift points, but the bike ran strong and I had my knees down right away. The bike was ugly, but plenty fast. These USCRA folks are racers and many are able to hustle their machines around the track quite well. They get out there and push hard. But, I had a distinct advantage over most of the riders in my two classes. You see, I put about 2,000 racetrack miles on every season and am used to racing at a pretty high level of competition. Most of my competitors on this day did not have the same amount of track time nor competitive edge. Because of this advantage, I won two really nice first place plaques to add to my trophy wall. 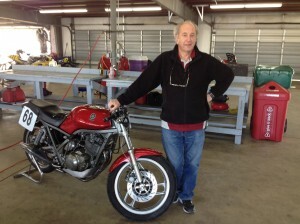 But, more valuable was that I made a bunch of new friends, saw some incredible machines and learned more about just why vintage motorcycle road racing is popular among both old and young motorcycle racing enthusiasts. Thanks for letting me ride with you, USCRA. I wonder what bike I will borrow for next month’s event. Hmmmm. Tell us about your vintage racing experiences in the comment section, below. 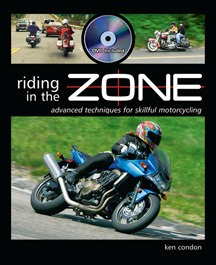 ‹ Countersteering Will Save Your Life! Awesome write-up Ken! Vintage racing is probably, theoretically, even harder for new folks to get into simply due to lack of mechanical knowledge (“you want me to do WHAT to a carb? ?”), but they really are some cool machines with great folks riding them! Wow – this looks like it was a ton of fun!! Great article. It is making me think that I should look for an old GPz 550, a bike I lusted after in my teens, and give it a whirl. Thanks Ken!